Dr. Maynard grew up in Hickory, North Carolina. He attended the University of South Carolina in Columbia, SC and Southern College of Optometry in Memphis, TN. 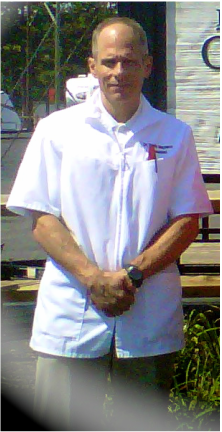 He graduated as a Doctor of Optometry in 1984 and established his practice in Hudson, NC. Dr. Maynard provides comprehensive eyecare for the whole family and is specialty trained in fitting hard -to- fit contact lenses. If you have any questions, please contact Dr. Maynard at our office at 828-728-5322. Joyce has worked with Dr. Maynard since 1999. She is trained in filing all insurances. Please contact Joyce with any questions you may have about insurance. If you would like to schedule an appointment, please email Joyce at ﻿ joyce@maynardeyecare.com﻿ or call our office at 828-728-5322. Dr. Maynard & staff are dedicated to serving you!